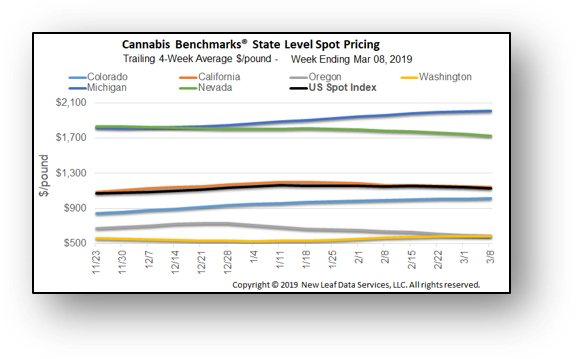 U.S. Cannabis Spot Index down 1.1% to $1,100 per pound for week ending 3/8/2019. Can we get Spot Index as a ticker at the top? Haha I think we are heading in that direction, my friend. We first have to tackle Interstate Commerce and then I think that ticker will make for a great banner!